The health benefits of turmeric are vast and varied- and this recipe is a delicious excuse to get some in your diet! Roasting the cauliflower in your wood fired oven also brings out its natural nutty flavours making it even more delicious! For this recipe you will need to fire up your wood fired oven to its optimum temperature and then allow time for it to cool until it reaches roughly 220°c. 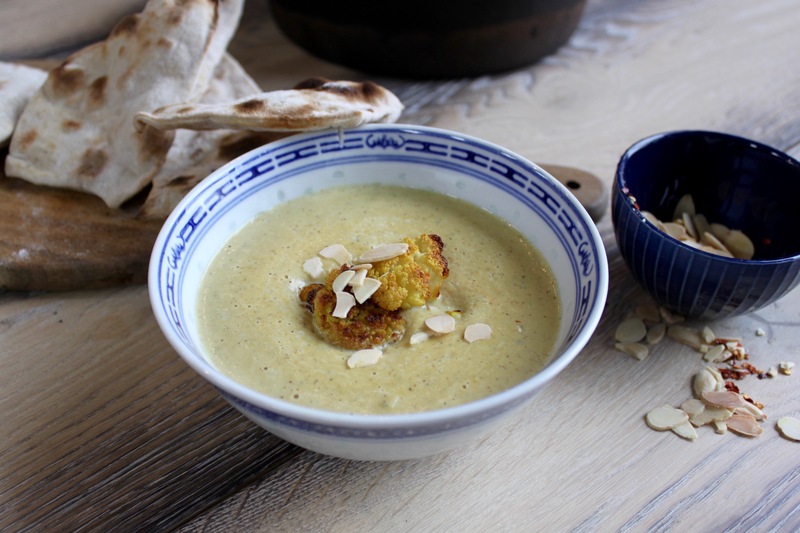 Toss the cauliflower with the sunflower oil, all the spices and garlic, then season well. Transfer to a roasting tray and roast in the oven for 15-20 minutes, shaking occasionally. Meanwhile, melt the butter with the olive oil and sweat the sliced onion with a good pinch of salt and pepper. Once soft, add the roasted cauliflower, reserving a few florets to garnish the soup, mix together, and cover with the milk. Allow the soup to blip away at the front of the oven for around 20 minutes, and then blend. 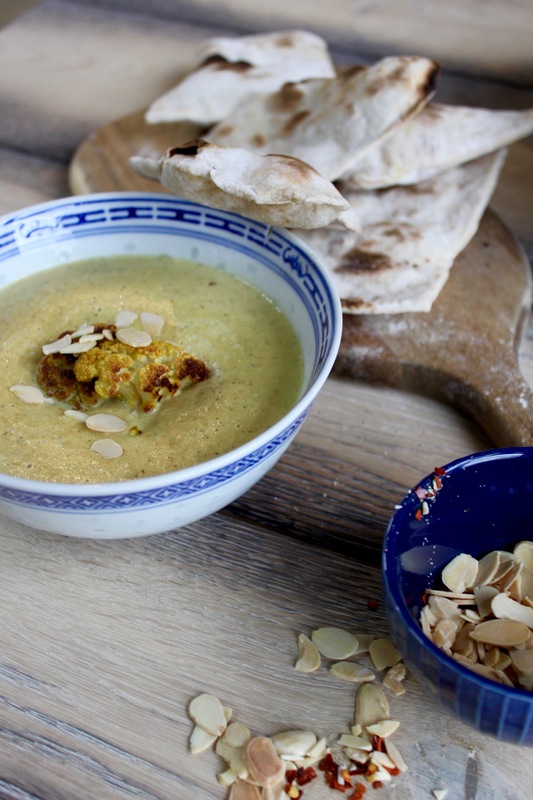 Top with some toasted flaked almonds and chilli flakes, serving with plenty of cumin flatbreads. Are you interested in our wood fired ovens? Head over to our product pages for more information. To keep in the loop with all the latest news make sure you follow us on Instagram, Twitter, Facebook and Pinterest.